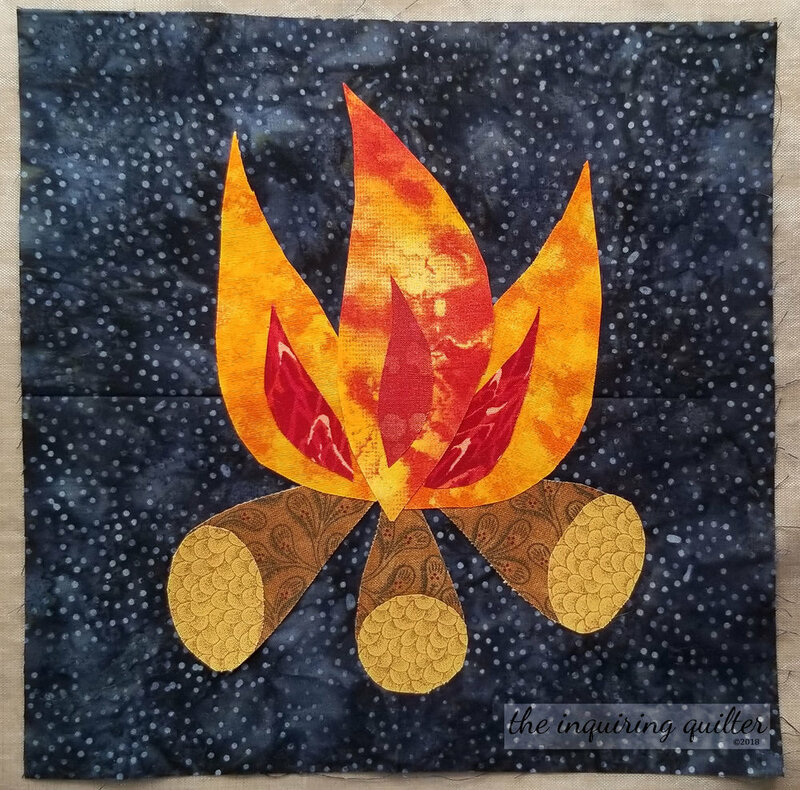 Fall into a Quilt Along! 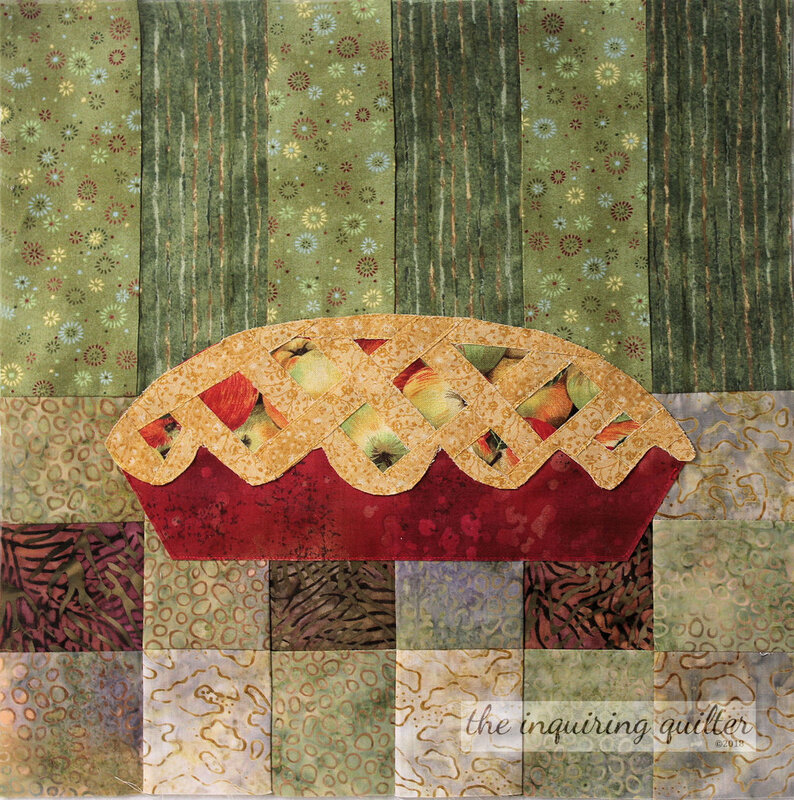 Welcome to the new quilt along by the Partners in Design -- the same group of quilt designers and bloggers who brought you the Christmas mystery quilt along, I Wish You a Merry Quilt Along! Yep, we've got a name now--Partners in Design--and a sparkling new logo to go with it. In addition, we've got a purpose--to create a place for fabric and friends to meet up in creative fun! That place, by the way, is our Facebook group and our collective blogs. A lot of you quilted along with us last year and had a lot of fun with the I Wish You a Merry Quilt Along. 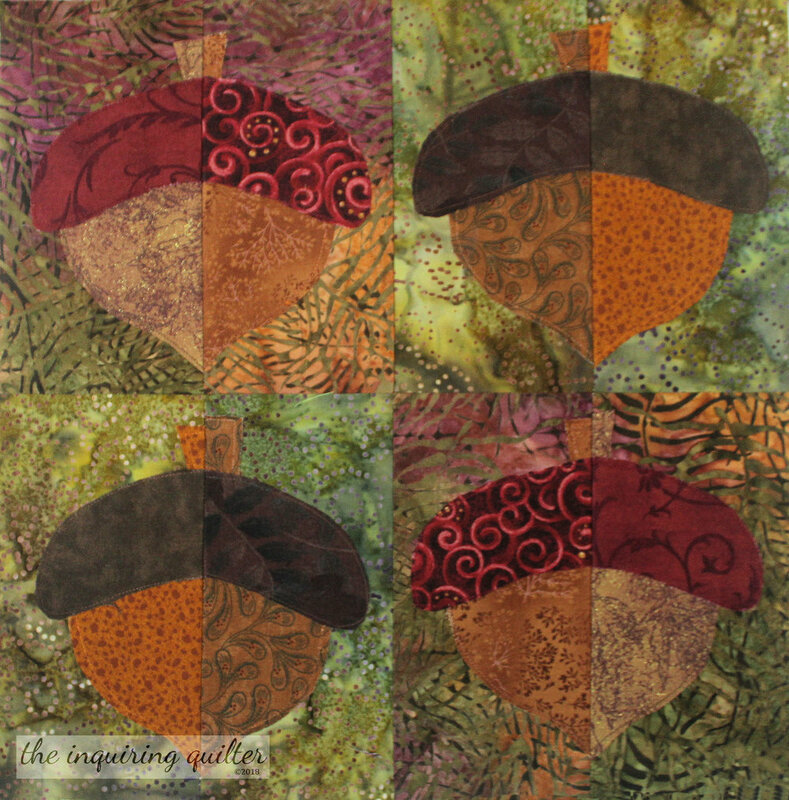 Well, it's time to gear up for fall as we host our Fall into a Quilt Along! So I'm New to Quilt Alongs. How Does It Work? Basically, every two weeks we'll release a block pattern. Make the block, take a photo of it, and share it online before the next block comes out, and you're entered in our prize giveaway. At the end of the quilt along, we'll provide some setting suggestions for turning your blocks into a finished quilt. Complete the top and post a photo of it by the deadline, and you'll be entered in our final grand prize giveaway. Along the way, ask questions, share insights and tips, and basically have tons of fun as everyone makes their quilt. Note: The quilt along has started. The schedule is below (keep scrolling). Here are my versions of the blocks. Click the photos to read my post filled with tips. If you want the pattern, you'll find a link in my post which also contains tips for constructing the block OR you can scroll down to the schedule and find links there that take you straight to the blog post for each block pattern. No worries! We've got a Facebook group you can ask questions in, day or night. Wanna know if your fabric choices are good? Wanna check if that red piece goes on top of the blue piece or under it? Post a question and get an answer. We've also got seven hosts located around the globe, ready to help. When a block is released, each host will post their personal tips and techniques for making that block. They will also share their fabric choices and personal touches. Talk about an idea factory! Our hosts are experienced quilters and pattern designers so you're sure to get the help you need to succeed with each and every block. I don't know if you'll have time either, but I sure hope you do! I can promise you this: if you make time for us, we'll make time for you and give you as much help, encouragement, and fun as you can handle. Here is the schedule for the quilt along, the names of the designers for each block, and the date when each block will be released. Block patterns will be released every two weeks at midnight EST on the dates listed. November 13th at 11:59 EST – Deadline for posting a completed quilt top for entry in the final grand prize drawing. Your quilt does not need to be quilted although we’d love to see finished quilts! Block patterns will be available throughout the quilt along for free. Be sure to get yours now! Blocks will no longer be available for free after November 13th. I'm In! What Should I Do? Basically, come to my blog every other Tuesday beginning May 15th. As your host, I’ll present my version of the new block, share my tips and suggestions for success, and link you to the block pattern for that week. Here's a list of the other hosts if you want to drop in on them as well, and get their point of view on a block. First, if you’re on Facebook, join our Facebook group. There you can ask questions, show off the fabrics you’ve chosen for each block, and get to know each other. When a block is made, you can post its photo to the Facebook group to enter our bi-weekly prize giveaways. If you’re on Instagram, search the hashtag #fallintoaqal for inspiration for choosing colors for a block. When your block is made, you can post its photo to Instagram with the hashtag to enter our giveaways. Please follow me because I’ll be posting to Instagram and using the hashtag as well—I’m @inquiringquilter. Sign up for my newsletter so you don’t miss anything, or follow me in other ways. Just look at the top of my sidebar for the ways to follow. Don't worry; you don’t have to belong to Facebook or use Instagram to participate. Just drop by my blog every Tuesday beginning May 15th, and I'll not only show you my version of the block and share my tips for constructing it, but I'll also point you to the designer's blog where you can download the pattern and later upload your photo so you can enter the giveaway that week. I'll be gathering the links to each block pattern on my special Fall into a QAL page (see the link to this special page at the top of my blog) so you can easily catch up if you fall behind at some point. What Fabrics Will I Need for This? Almost forgot the fabrics! <grin> Yep, you'll probably want to gather some up before the first block is released on May 5th. For my quilt, I’m going to make my quilt using a mix of prints and batiks from my stash. I'm probably going to go scrappy with my backgrounds, but I'm estimating about 1-1/2 total yards. You might want more though if you think you'll use the background to finish your quilt--for alternate setting blocks, for sashing or cornerstones, or for borders or binding. For the rest of the quilt, I'd pick up a nice selection of fall colors, maybe 1/4 to 1/2 yard each depending on how many fabrics you go with. Now, about finishing your quilt. You can set your blocks however you like, with or without sashing, on-point, or with alternate pieced or non-pieced blocks. Since you know the finished size of the blocks (12”) and their number (12) you could start playing with setting options now, then get enough backing, sashing (if any) and binding for that. Or you could just chill. 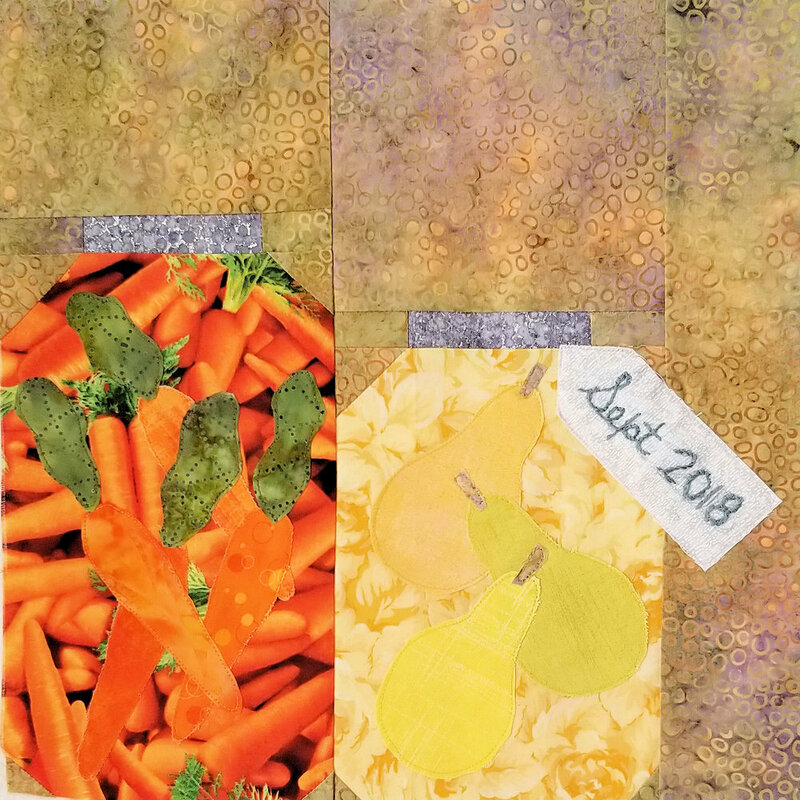 I’ll be presenting several ideas for settings after the last block is presented and hopefully these suggestions will spark the perfect ending for your Fall mystery quilt. 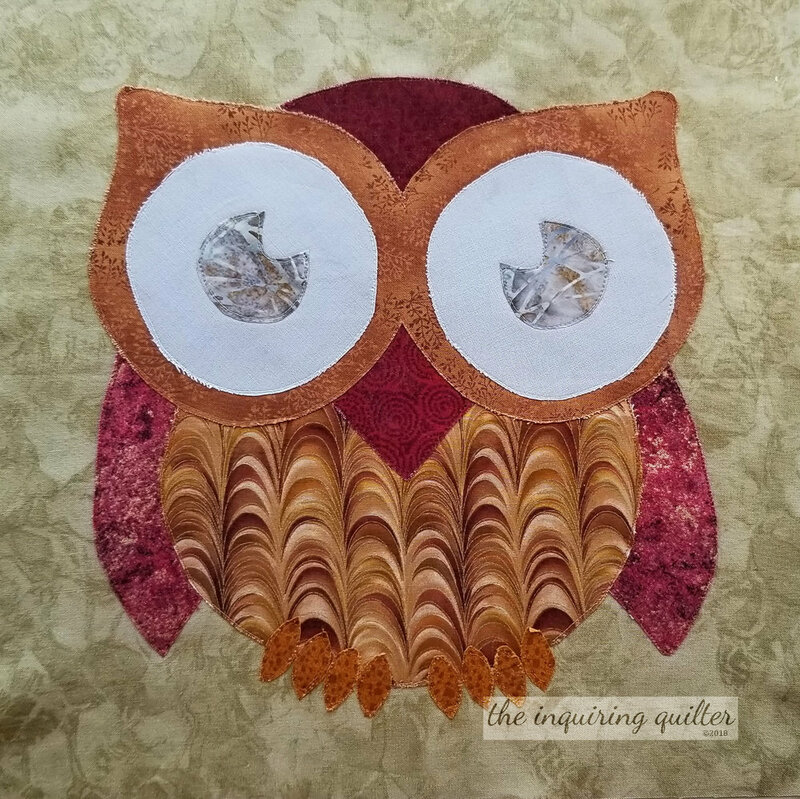 We will award a prize every two weeks to the lucky quilter who finishes the current block and posts it to our Facebook group or to Instagram (with the hashtag #FallintoaQAL or uploads a photo to the link up on the block designer's blog. As you can see, we have a lot of prize sponsors! We'll announce the Grand Prize package on October 16th. To win one of the block prizes, come back here every two weeks on a Tuesday, pick up the new block instructions, make your block, and post a photo before the next block comes out. That’s how you get entered in the prize giveaways. By the way, unlike a lot of contests on the web, ours is open to International participants as well! An important note: To keep the contest portion of the quilt-along fair and fun for everyone, only quilts that use all of the designers' blocks will be eligible for the grand prize. Likewise, our bi-weekly giveaways will only be open to those that make the designer's block. You must be 18 years old to enter our giveaways. The more people who participate in our quilt along, the more fun it will be! So please invite your friends to our quilt along by posting our quilt along button to Facebook, Instagram, and elsewhere. Post the button with a link to my quilt along page so your friends can read all about it and get ready to quilt along too! To save the button to your computer, right click it and choose Save Picture As. Here's the link to my quilt along page that you can also copy and share.